Online registration is now closed. Please contact Nicole Kenton at nicole.kenton@gmail.com for registration availability. Spring has arrived and we are transporting you to Paris for the evening! Join us for our annual spring networking mixer at Le Spa inside the stunning Sofitel hotel, blending classic French sophistication with the glamour of old Hollywood. $65 for current BIW members/before May 4th. $75 for all current BIW members/after May 4. $90 for all guests registering after May 4. 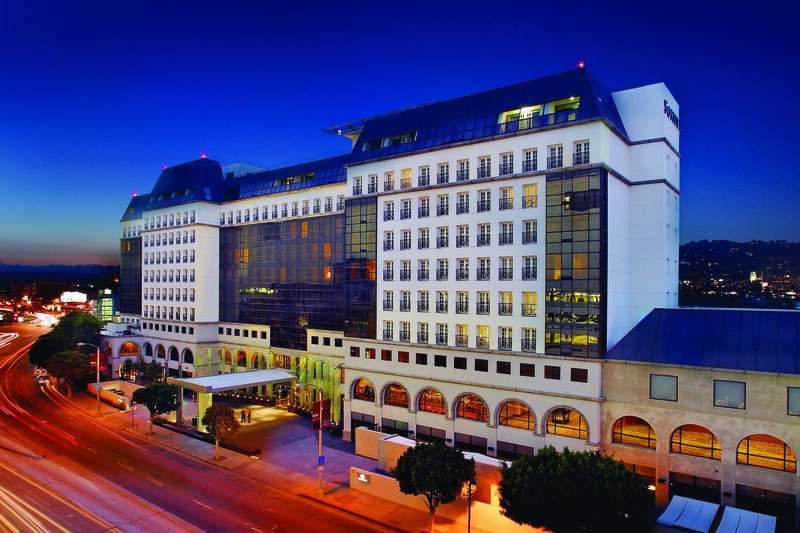 Escape to an extravagant world of color, energy, and invigoration at LeSpa, at the Sofitel Los Angeles. A rich reward for each of your senses, this Los Angeles spa hotel transforms body and soul with a deep sense of wellness. Select from a diverse array of treatments… including facials, body wraps, manicures, pedicures, hydrotherapy, massage, and so much more. A stunning 5,000-square-foot oasis, our Beverly Hills spa - the first LeSpa in North America - will lavish you with restorative features and services from Parisian luxury brands, Decleor and Carita. Cospack America Corp. (www.cospackamerica.com) is a leading global manufacturer of personal care packaging that specializes in stock and customized packaging for the beauty industry. With an extensive collections of quality components to choose from, including airless dispensers, acrylic jars, metal closures and pumps, Cospack offers the largest selection of IN STOCK packaging in North America, all available for immediate delivery from CA. Carrubba creates custom fragrances, flavors, botanical extracts, and natural deodorants for leading manufacturers worldwide in the cosmetics, personal care, pharmaceutical, household and institutional markets. Carrubba is a producer of certified organic botanical extracts and complies with the National Organic Program standards. With over 500 different botanical extracts and almost 20 years experience. The mission of ICMAD is to represent, educate and foster the growth and profitability of entrepreneurial companies in the cosmetic and personal care industries worldwide. Through industry events, competitions, guidance on regulatory and legislative issues, and networking opportunities, ICMAD proactively helps its members achieve success. For more about ICMAD, visit icmad.org or call 1-800-334-2623.